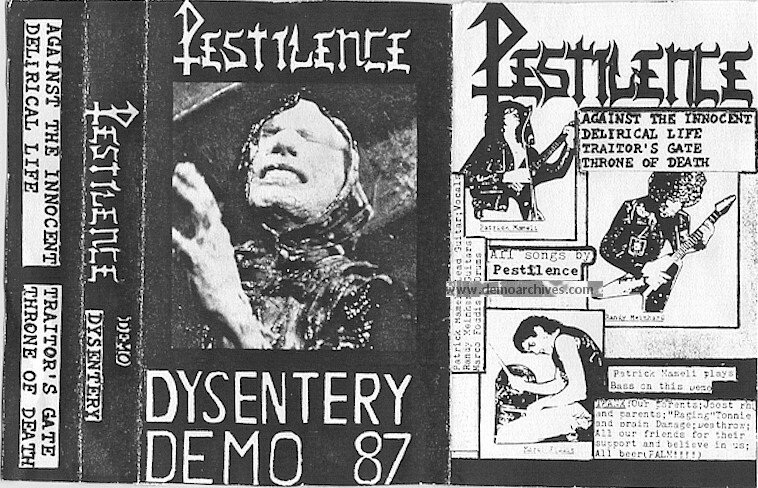 Pestilence started in mid 1986 as a thrash metal band. The lineup, consisting of Patrick Mameli (guitar, vocals), Randy Meinhard (guitar), and Marco Foddis (drums) recorded the 'Dysentery' Demo. Martin Van Drunen joined the band and this lineup recorded their second demo 'The Penance'. After recording two albums with RoadRunner Records, Martin left to join Asphyx.